To start with, Aerobics is a form of physical exercise which combines rhythmic aerobic exercise with stretching & strength training routines with the prime goal of improving all the elements of fitness. It is usually performed on music beats in a group under the supervision of an aerobics instructor. An aerobic instructor must have natural passion for exercise & fitness. Aerobic Instructors being confident individuals always stand by to motivate others. 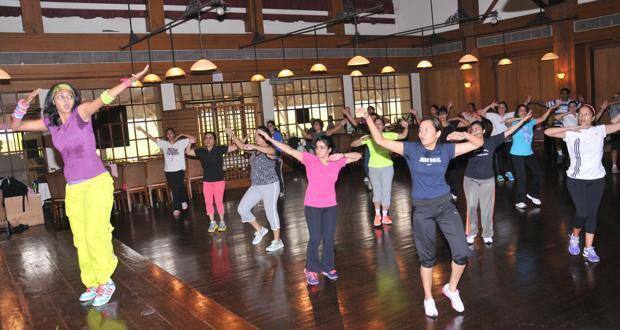 Aerobic Instructors have that aptitude of determining which routines are suitable for which group of participants. They make sure that participants are exercising safely under their guidance. The main task of an Aerobic Instructor is to teach exercise techniques & lead aerobic classes so as to keep people physically fit. It includes teaching Pilates, yoga, water aerobics, weight training or other aerobics based exercise classes. Aerobics instructors may work along with people belonging to all age groups & skill levels & see to it that they maintain their patience level & motivate all the participants through the difficult exercise routines. Educational requirements for becoming an aerobics instructor differs from region to region or may be from the type of specialty to specialty. Employers of Aerobics Instructors hire candidates possessing high school diploma or any relevant certification in the field of group fitness instruction. -Aerobics Instructor determines which class to conduct based on personal expertise or client requests. -Provide instructions to groups & individuals. – Plan routines & prepare music for each class. -Expert knowledge is utmost needed regarding the current trends & emergency procedures should be administered whenever necessary. -Helping participants to figure out their levels of exertion in order to get maximum benefit from their exercise routines. Salary of an Aerobics Instructors varies depending on their level of training, experience, place where in they work, number of classes they take up, specific responsibilities they take up etc. They earn somewhere around Rs. 700/- to Rs. 900/- per hour. ILSAT 2015 Exam Dates,How to apply?